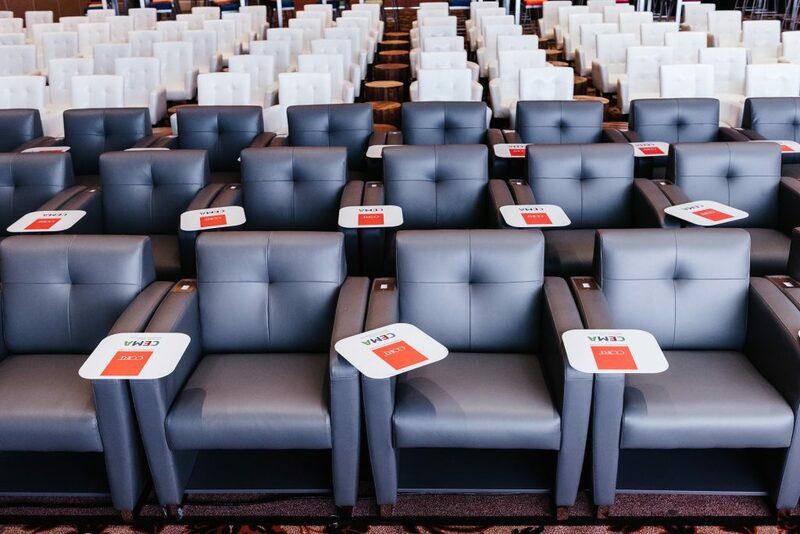 Create seminar spaces that sync with the modern attendee. Today, engaging with digitally-minded meeting attendees is more than throwing together a PowerPoint presentation. Meetings and conferences provide attendees the opportunity to learn, connect, network and share with their colleagues. Providing seminar spaces that facilitate engagement help create environments that are productive and inspirational. This year, CORT assisted in the inspiration and execution of the Corporate Event Marketing Association (CEMA) Summit. CEMA is an industry organization filled with more than 800 active senior-level event marketers and industry professionals. CEMA professionals have not only been to many conferences and networking events but are often tasked with running them. They are also a set of professionals who are versatile, flexible and never desk-bound. These professionals are always on the go, and on their phones, which meant creating a connected space that encouraged tech-enabled work style was essential. Our team tore down traditional thinking and prioritized collaboration, creating an engaging atmosphere where attendees could collaborate and communicate, on and offline, in an environment that matched their work style. For CEMA Summit 2018, the conference hall was separated into three zones: Connected and Casual, Styled and Structured and Collaborative Contemporary. Annual CEMA Summit Conference in July 2018 in California. 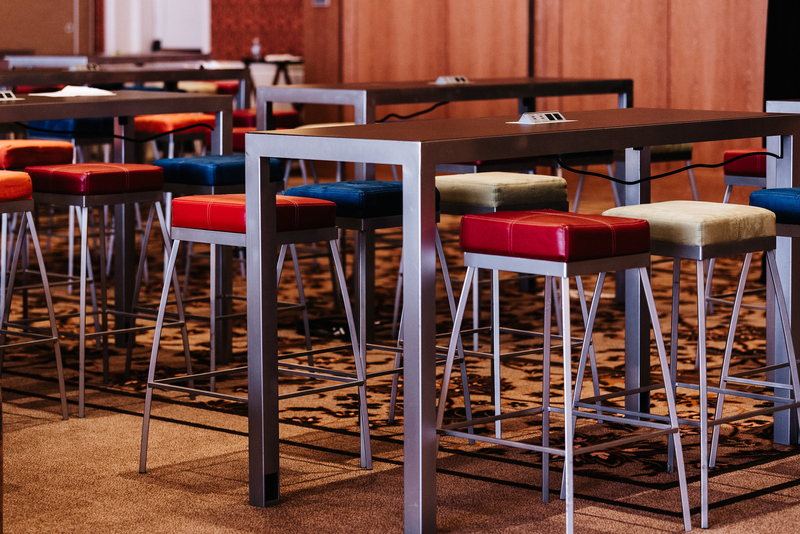 Connected and Casual, situated at the very front of the seminar space, offers powered soft seating, including the Tech Tablet chair, as well as sofas and loveseats for relaxed connection and listening space. These are your multitaskers who have their phone, laptop and smart watch keeping them on task and on time. They want to be comfortable and they need to charge their devices. We catered to this audience with branded swivel tablets, charging stations and an up-close view for the photo they will take for Instagram. Styled and Structured, situated in the middle of the room, offered more standard meeting space for those who like to work the old-fashioned way. These are your classic notetakers who have their schedule on their phones and stay connected through email all day, but still appreciate an old-fashioned notebook and pen to jot down notes of inspiration. We provided beautiful wood accent tables for belongs comfortable, classic chairs for their comfort. Collaborative Contemporary, mimicking the feel of a coffee bar, offered a space where attendees could claim a seat, but share a large, tech-enabled table and collaborate for breakout sessions. You can find these attendees working at home, in a coffee shop, in a shared space or on the road. They’re flexible and appreciate the freedom to work at their own pace and multitask. We set them up for success by creating a studio feel in the back where the shared tables allowed for effortless collaboration. 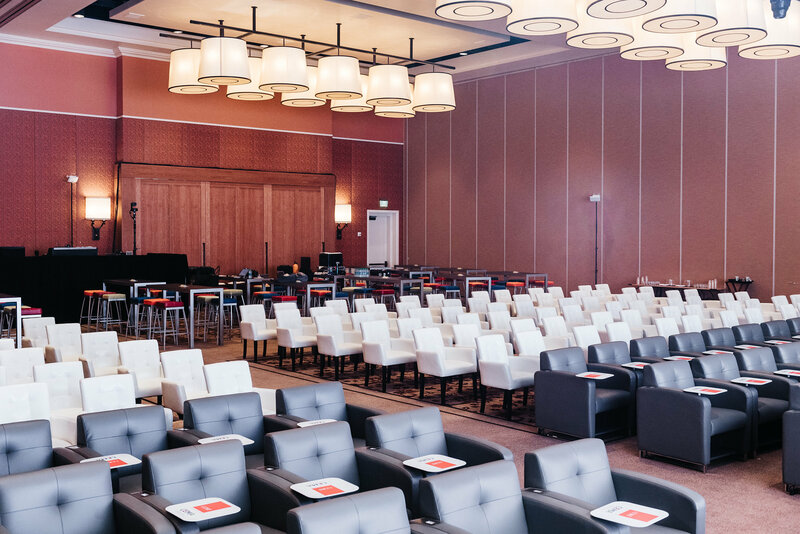 We have seen the growing trend of flexible spaces become more important to event planners over the last few years and we know this will continue to become more important over time. We are seeing a huge increase in demand for breakout space conducive for networking and for a wider variety of furniture, including sofas, armchairs, communal tables, and lightweight furniture for easy mobility, such as ottomans. 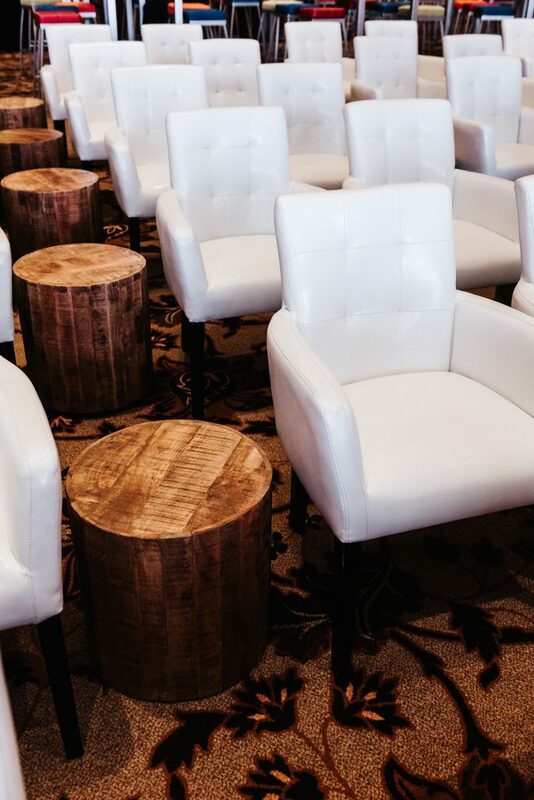 When you want your space to feel custom and connected, think about the attendee experience at every stage of event planning. Kevin Dana is executive director of marketing and product development at CORT Trade Show & Event Furnishings. To learn more about CORT’s exhibit and event rental collections or its Social Tables integration, visit www.cortevents.com.